Who knew you could actually shop with pennies? 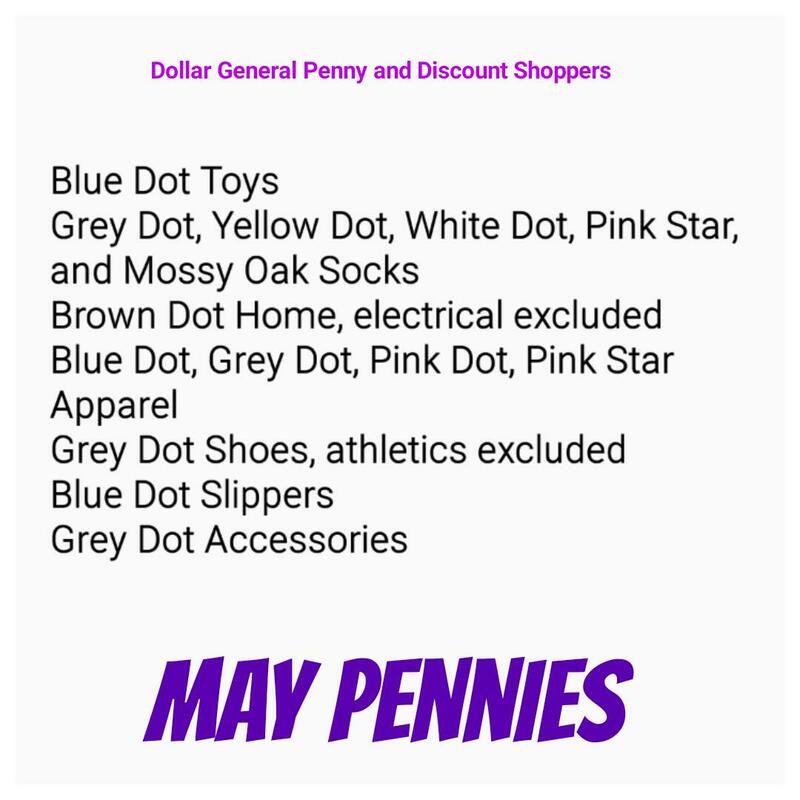 I started a group just for learning to shop at Dollar General using only your pennies. Ok newbies. Here it is. There is not an official list of every single penny item. It is just not going to happen. Things that are a penny are basicly things that have clearanced out and are not being sold anymore. These items are removed from the shelf but things are missed and left behind as treasures for us to find. How do we know what is a penny you ask? Well things get leaked from managers as well as us learning sale patterns. Things usually start out at 25% off and go through 90% off, some stores do 25c instead or pull at 70%. Things always ger pulled Monday nights so on Tuesday mornings those things left behind will be a penny. We will let the group know Monday evening what the new penny list will be. We then bring these to you guys. How to identify penny items. They use tags with a shape and code system. When we give you an item that is pennied you must look for that color shape. Usually anything from last year and later will be a penny. This item will be a penny until it resets which won't be until the following year for the season it pennied in. Example, s15 means summer 2015. 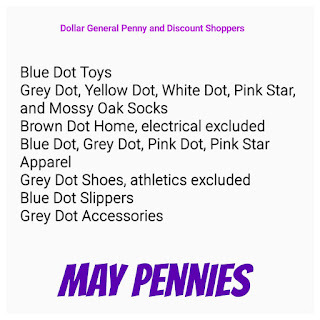 A pink dot tag with s15 that has pennied will be a penny until it resets which will be until s16. Sometimes things reset and there are still old things left behind so there will be penny items out there that we may say to look for something like *example only* yellow star toys f11 or later only. Anything newer would be full price. Also there are always suprise unmarked pennies. We do not know what these are unless we just try them. If you buy something and it is a penny share it and help others and they will do the same for you. Pennies are the same no matter where you live. Please never ask a worker if an item is a penny. If you find a penny take as many as you find because once you check out you can not go back for more as they will generally go back and remove the rest from the shelf. If they refuse your sell show them their policy which is in the comments as well as in the reference album. If they still give you issues report them to corporate, numbers also listed with the policy. Also please be polite and do not argue and do not make a mess. This was for the rules for a penny group I run on FB. I don't do continual updates on penny shopping as I have never had anyone interested enough in my blog to follow it for that.